Recently it was announced that Elk Grove’s Brian Detrick, a junior at St Mary’s College (Moraga, Calif.), won the 2009 National Collegiate Water Ski Association Male Most Outstanding Leader award and was nominated for the associations’ Male Athlete of the Year Award. 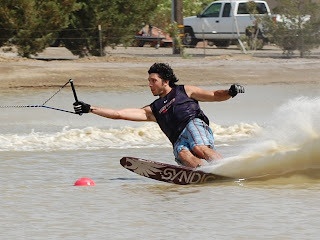 Detrick, a member of the Gaels class of 2011 is the president of the Waterski and Wakeboard Team. The Gaels' Waterski and Wakeboard Team, which just missed out on qualifying for the national tournament this year, was nominated for Team of the Year. The Gaels will host the 2010 university team trial and Collegiate National All Stars in May. You can go to ncwsa.com for more information. Gotta love those Detrick's ! ! !